A few months ago my friend Monika asked if I would be able to make an owl Birthday cake for her husband Aaron. 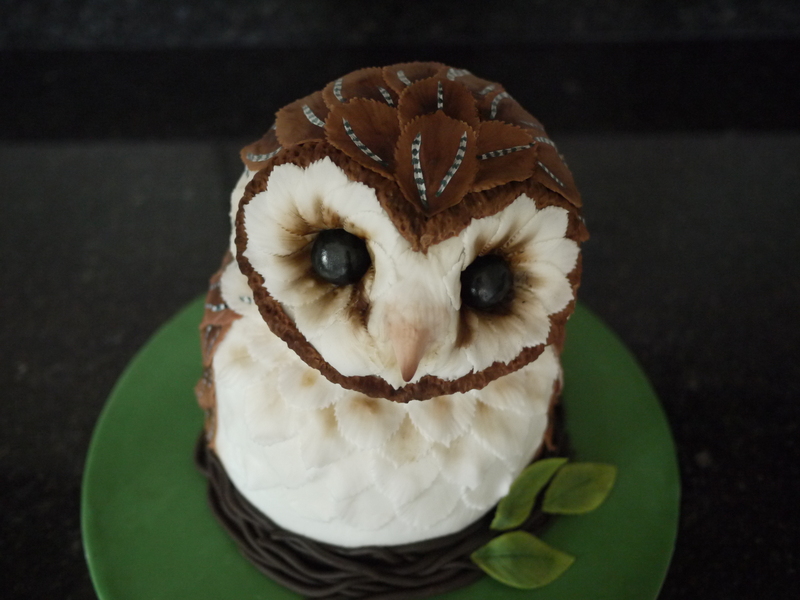 I did a bit of research and found a few owl cake ideas which I sent over. The majority of ideas were cartoon like owls, probably more appropriate for a kids Birthday cake. But I managed to find a realistic barn owl cake too which looked amazing, but I honestly had no idea if I could make a cake like that! So I sent Monika the links to the various cakes, I was pretty sure the realistic owl would be her favourite, and it was. Despite it looking impossibly hard to make, I really hoped she would chose this one as I have never attempted anything like this before and was keen to give it a go, but I honestly had no idea where to start! Click here to find out how I made this cute little owl!